The Edgewater is perfect for wedding parties, retreats, or family reunions. The east wing, west wing or the entire 2nd floor may be rented for accommodating family and friends during special events. 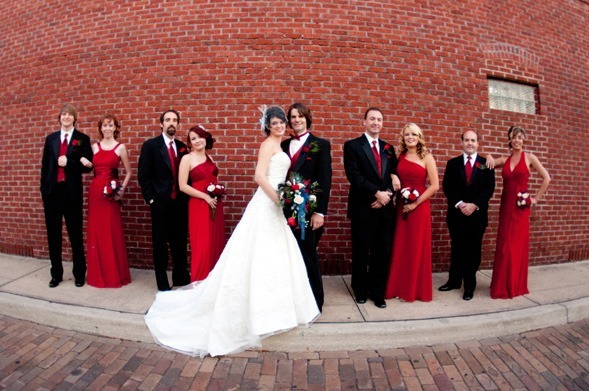 We invite you to view our photo gallery to get some further ideas on a wedding set in historic Winter Garden with the Edgewater Hotel as a destination for the wedding party. Click Here to read an excerpt from Orlando Wedding Magazine about what historic Winter Garden and the Edgewater Hotel have to offer for your wedding. The Chef’s Table at the Edgewater Hotel specializes in fine dining wedding receptions. Thai Blossom is also a great location for a wedding rehearsal dinner or reception. Any of our on-site restaurants would be glad to provide catering services for your special event. For larger weddings, the Edgewater is conveniently located less than 1 mile from Tanner Hall on the shores of scenic Lake Apopka amid picturesque Newton Park. Tanner Hall has a building capacity for 300 people and features a wooden dance floor perfect for large wedding receptions. 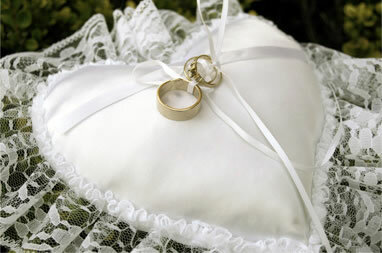 The Edgewater’s proximity to this venue makes it the perfect overnight location for the bridal party and guests. Additionally, the Garden Theatre is a great setting for a wedding of up to 300 guests, and the Garden Ballroom, located above the theatre, is a perfect location for the wedding reception. 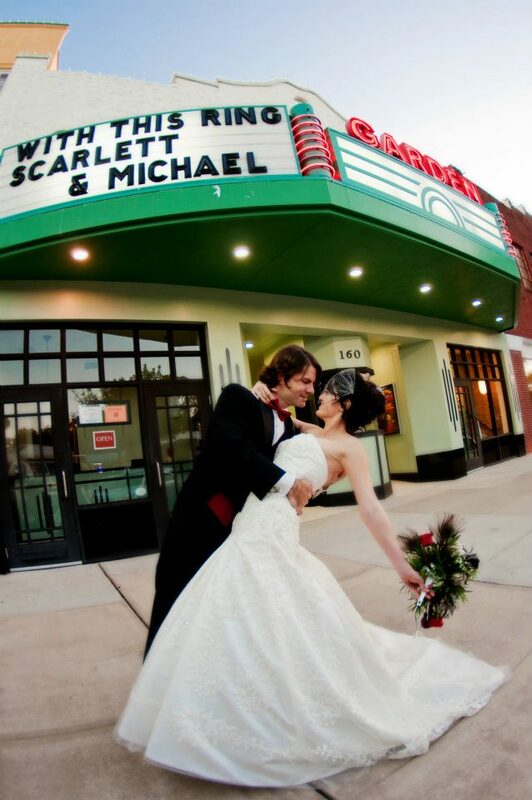 Wedding packages include featuring the bride and groom’s names on the theater’s historic Plant Street marquee. 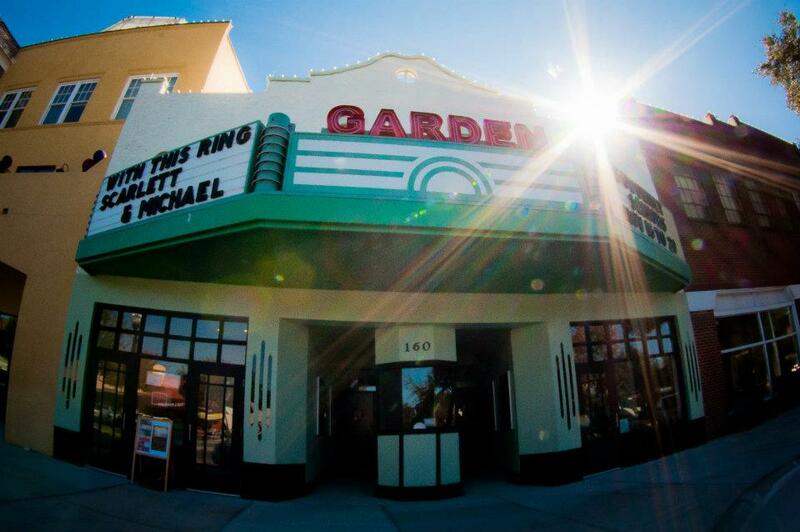 The Garden Theatre is within walking distance of the Edgewater. We take pride in helping with any planning that your special occasion requires, so we encourage you to schedule a private tour so we can give you the personalized attention you deserve. Let the Hotel and town help serve as inspiration for your upcoming event. Please contact us at (407) 654-6921 for more information.